What is the Laffer Curve? The Laffer Curve is a theoretical explanation of the relationship between the tax rates Accounting For Income TaxesIncome taxes and its accounting is a key area of corporate finance. Having a conceptual understanding of accounting for income taxes will allow a company to to maintain financial flexibility. 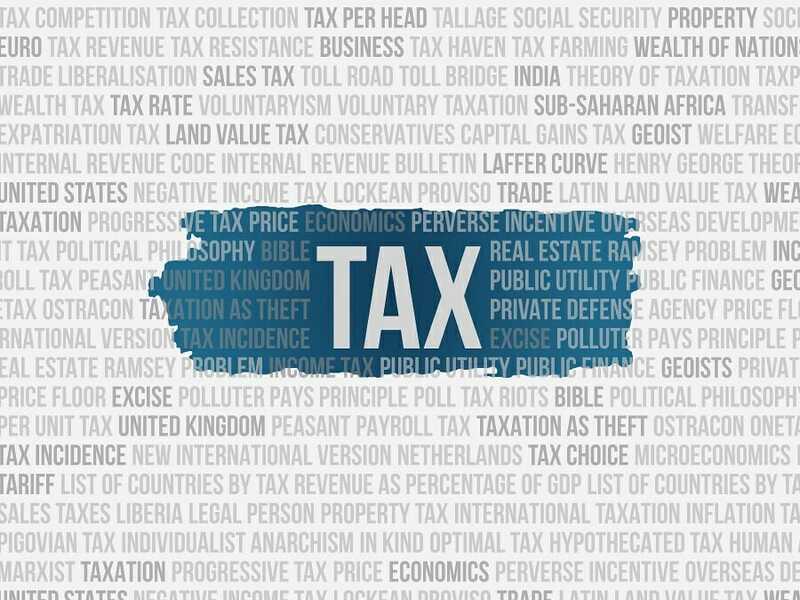 Tax is an intricate field to navigate and often confuses even the most skilled analysts.set by the government and the tax revenue collected by the same at that tax rate. It was introduced by American supply-side Law of SupplyThe law of supply is a principle in economics that an increase in the price of goods sold will have a corresponding direct increase in supply by producerseconomist Arthur Laffer. The concept was not invented by Laffer; there were other antecedents from the 14th-century writings of Ibn Khaldun. 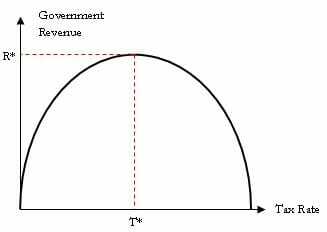 The Laffer Curve says that there is no tax revenue collection at the two extreme tax rates of 0% and 100%. However, there is one such optimal tax rate between both these extremes that maximize tax revenue collection. It is based on one of its main assumptions that if taxation on a certain activity like production is increased beyond a certain point, less of it is produced. Beyond the optimal tax rate, workers start to believe that their extra efforts are resulting in lower additional income and hence, they work less, income falls, and tax collection decreases. We plot the tax rate on the horizontal axis and the government revenue from taxation on the vertical axis. The curve assumes a parabolic shape. It suggests that at the initial point, the origin when the tax rate is 0%, there is no revenue for the government. As the government increases the tax rate, the revenue also increases until T*. Beyond the point T*, if the tax rate is increased, revenue starts to fall. The taxpayers’ incentive to work more for more income starts falling and they prefer to work less because of the feeling that their money is being taken away by the government. At the tax rate of 100%, the tax base of the country will be nil and nobody would work because they will need to give away all their earnings as taxes. T* is the optimal tax rate which a government should aim to achieve. Laffer brought this concept to the attention of policymakers in 1974 when the general approach of the economists was a Keynesian one. They advocated more government spending to stimulate demand, which in turn meant more taxes. This policy was going downhill and Laffer contradicted that this problem was not because of too little demand but due to the burden of heavy taxes and regulations that left producers without incentive to produce more. Tax rate cuts affect revenues in two ways. Every tax rate cut translates directly to less government revenue but in the longer term, puts more money in the hands of taxpayers, increasing their disposable income. Hence, business activity increases, companies hire more, who in turn spend more, and this leads to economic growth. The growth creates a higher tax base and generates higher revenue in the long term. A higher tax rate increases the burden on taxpayers. In the short term, it may increase revenues by a small amount but carries a larger effect in the long term. It reduces the disposable income of taxpayers, which in turn, reduces their consumption expenditure. Aggregate demand in the economy falls and due to an increase in unsold stocks, producers create less. This leads to unemployment and producers feel that there is no incentive to produce more and earn more income, as most of it is taken away in taxes. The tax base for the government falls and so does its tax revenue.